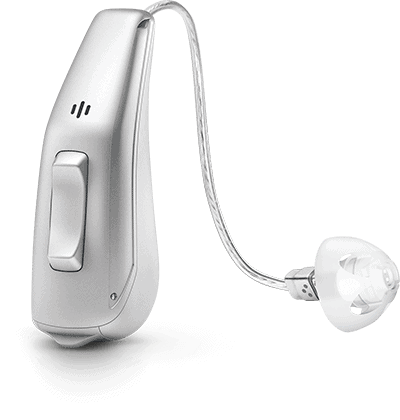 Activus hearing aids are at the forefront of new developments in hearing technology. Wireless compatibility provides wearers with convenience and connectivity at their fingertips, streaming crystal-clear sound from phone calls, music, and other media directly to their ears. Activus is designed for active individuals: our sophisticated, sleek construction provides flexibility, while our long lasting rechargeable batteries offer confidence that the sounds never stop, but high battery costs do. The Activus receiver-in-canal N100 is one of the smallest and most sophisticated hearing devices available on the market. Though small in size, the N100 provides powerful, natural sound, advanced listening features, and direct streaming from your devices to your ears. The N100’s design and aesthetic is unobtrusive and sleek: worn behind your ear, with the receiver resting in your canal, you’ll have unfettered access to the sounds of your life with ultimate discretion. N100 is designed to treat many different degrees of hearing loss, from mild to severe, thanks to robust and diverse listening features. For people who experience single-sided hearing loss (unilateral hearing loss), N100 is available is CROS or BiCROS options, which picks up sounds from 360-degrees of the wearer’s environment and mixes and balances audio data so that both ears experience the full richness of sounds in the environment. 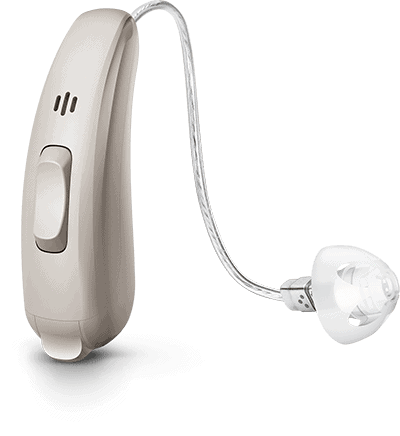 The Activus behind-the-ear N312 is a flexible hearing aid that addresses different degrees of hearing loss, while providing natural sound and direct streaming to your personal electronic devices. N312 might be small in size, but it provides extraordinary sound, with advanced listening features. In addition to natural sound, N312 boasts robust listening features and ease of control. 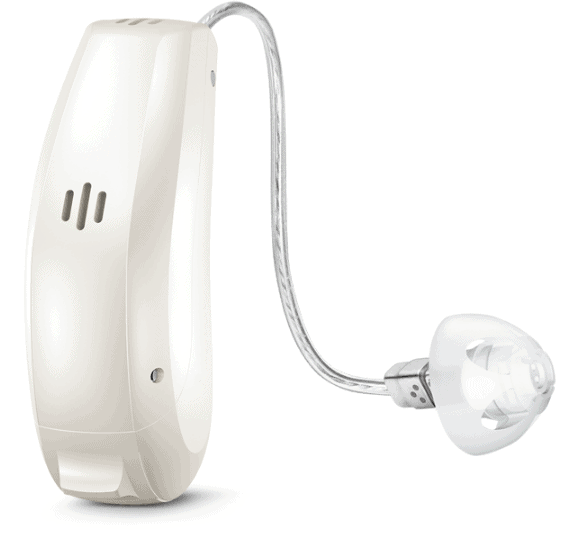 As a behind-the-ear hearing aid, N312 is fully customizable and is discreet in design and aesthetic. With an ergonomic shape, N312 disappears behind most ears, providing you with a comfortable experience. N312 treats different degrees of hearing loss, ranging from mild to severe, providing clear access to sound and heightened personalization. Traditional hearing aids often overlook the complexities of music sounds, but N312 provides special music listening features that ensure your favorite album and artists sound crystal-clear every time. Smart, sophisticated, and discreet, the Activus receiver-in-canal N13 provides natural sounds, own voice recognition, direct streaming, and advanced listening features. Worn behind the ear, with a receiver inserted in your ear canal, experience excellent access to sounds, no matter where your day takes you. 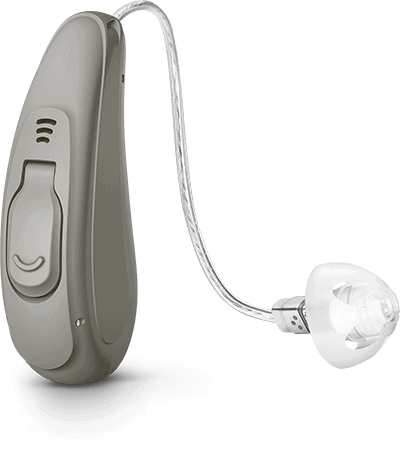 With multiple technology levels, the N13 is designed to treat a wide range of hearing loss, from mild to severe. As a reliable hearing aid, N13 provides the longest audio streaming time compared to similar models, with a long battery life. The N13 is also available with a telecoil option. For many, the hesitation to commit to the life-changing benefits of hearing aids is rooted in the visibility of the device. With the Activus N10, that is no longer an obstacle: this is the smallest, completely discreet hearing aid we offer, so tiny that it is barely noticeable as it sits behind your ear. And despite its small size, Activus N10 offers incredible access to sound and incredible listening features. As a fully automatic hearing aid, N10 does not require any manual adjustments to the listening experience. Listening features will automatically adjust to the sounds of your environment, ensuring natural sound every time. Even more, the quality of sound is superior, giving you the confidence no matter where you are. Interested in Activus Hearing Aids?